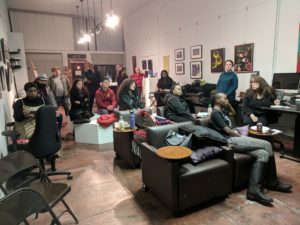 A big shout- out to Randolph Charles Belle for hosting Oakland Voices Cohort Group #6 at his space, RBA Creative, for our twice -a- month meetings. For sometimes entrusting his keys to our coordinator so he could get home to his family. For being alert and helpful during our meetings. For the proficiency and efficiency in running his business. For being knowledgeable about the community and a walking source of information. For being professional and always dressed spiffily, most of the time in suits and meticulously-shined dress shoes. For being caring and neighborly, always having flyers in his window about community events. Randolph was born and raised in San Francisco. He went to Lowell High School and graduated from Washington High School before going on to study at San Diego University. His resume is extensive. He worked at East Bay Resource Center for Nonprofit Support; was special assistant to the CEO at Urban Strategies Council; a board member at Museum of Children’s Art and the Oakland Film Society; executive director at Support Oakland Artists; advisory committee member at The Crucible; vice president, government and community relations at Creative Development Partners; and community college communications consultant for several community college districts, including Peralta, Chabot-Las Positas, and San Mateo. 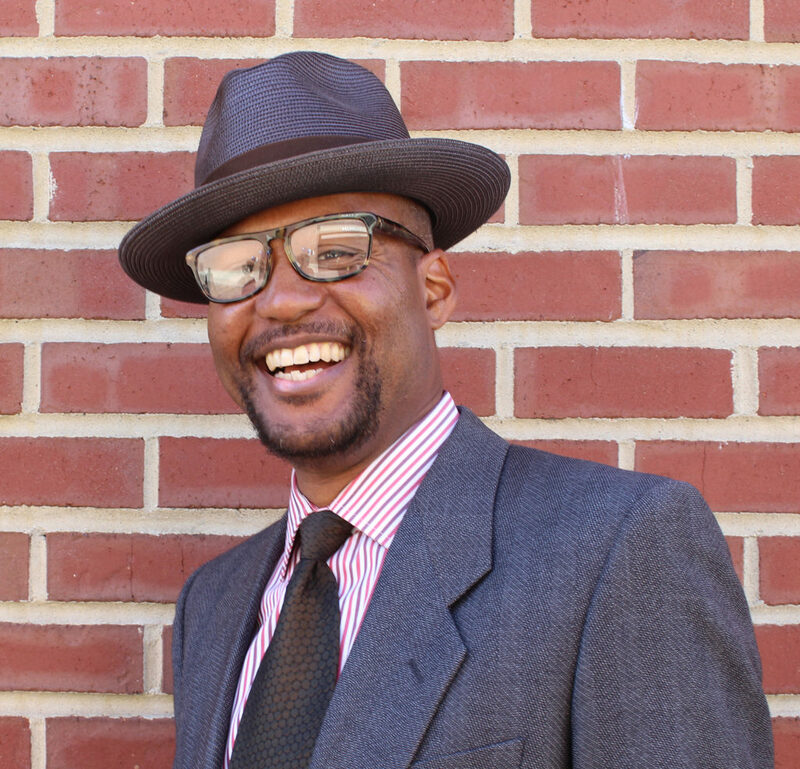 He moved to Oakland in 1991 to pursue his artistic endeavors. He was married in 2005 and has two daughters, ages 12 and 6. He founded RBA in 2007. His wife, Erica, joined the business in 2017 to assist with an expansion. She handles the finances, while he handles the rest. Mrs. Erica Wright-Belle comes from an administrative, real estate sales and entrepreneurial background. RBA was created to consult and support the art community. They offer a full range of creative services including graphic design, photography, web and media development, digital and offset printing, fine art, reproductions, branding/corporate identity, publication design/production and public affairs. They have a broad network throughout the Bay Area within the arts, nonprofit, civic and business sectors. Their stated objective is to leverage their network to advance socially conscious, innovative and sustainable initiatives. 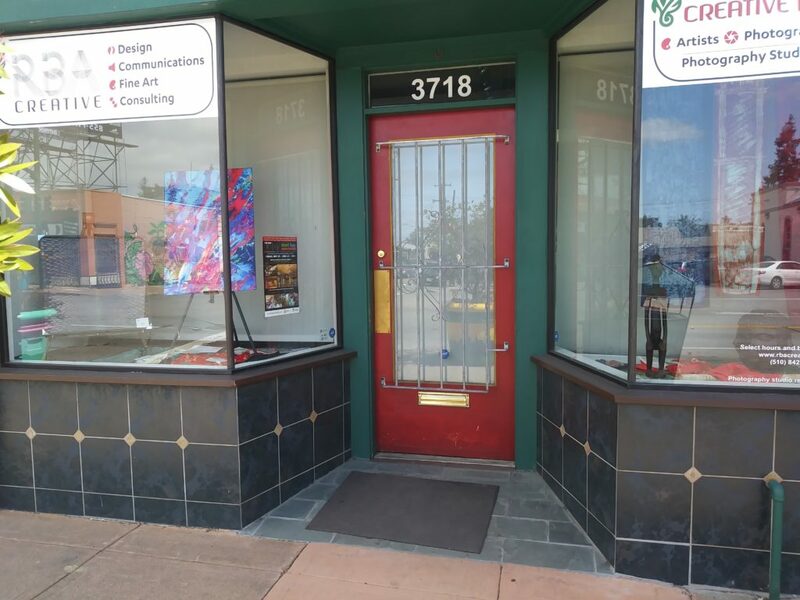 RBA has recently hosted several events, including Artist Open Studios, Arts Integration in Real Estate Developments and the Oakland International Film Festival’s Press Conference Kickoff. Some of Belle’s latest works are the album design of a debut release for the Nathan Bickart Trio, with photography by a RBA member, Nino Fernandez; an infographic for Pathways Consultants, local nonprofit advisors; and an informational website for UP-Initiative, an educational consulting firm. He also designed and printed the most recent Oakland Voices newsletter. RBA is proud to partner with “Artists United, a nonprofit organization inviting artists of every medium, genre, stripe, to share and exchange knowledge over high-powered, collective tools, and embrace new ways of working together as a global force for good.” Their mission is “to empower individual artists to create excellent art and to unite all artists to create social change.” They too are based in Oakland, but “their network and reach are worldwide.” They believe artists who work alone create art, while artists who work together create change. Visit them at www.artistsunited.net. Most of the information about RBA Creative and the Belles can be found directly on their website and LinkedIn account. They also have Instagram pages. I dug in more. Where have you lived in Oakland? West Oakland, Lake Merritt, Emeryville, the Laurel District and now, Toler Heights. We were able to purchase my wife’s childhood home that her father built. Any future plans for RBA Creative? We’re always looking for new and better ways to serve the creative community and build our communications consulting firm. We are now focused on integrating more local art in large-scale real estate development and municipal projects and seeking comprehensive communications consulting work from mid-to-large businesses. What’s the capacity of RBA and space size? The capacity is 50 and the space size is 1000 square feet. What’s your lifestyle outside of RBA? I’m a family man, we’re very proud of our two girls. We enrolled our first daughter in a Mandarin immersion school seven years ago and her sister joined her last year. When not working or spending time with the family, my goals are to help promote the arts and the broader creative economy. 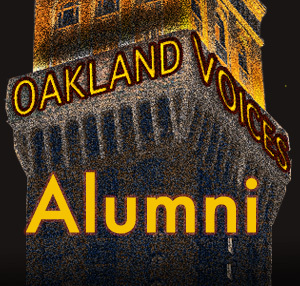 I formed a nonprofit in 2002 called Support Oakland Artists (SOA). SOA began providing youth development activities for young people in 2004, and it has since been focused on policy and advocacy for the arts. How did you get involved in the arts? I’ve been an artist from my earliest years. I always had a natural talent for it, which was nurtured by my mother. Around age 19, I started my first business and now 31 years later, I’m still pushing ahead. What creative services did you engage in while developing your niche? I began drawing and painting, primarily portraits. My business was launched with airbrushing clothes, graphic designing, painting murals, and a host of other creative activities.